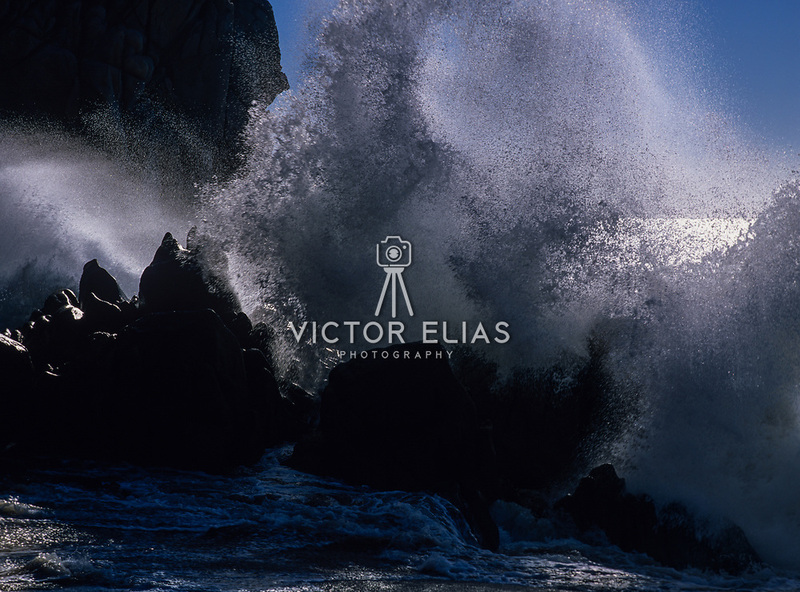 Wave crashing on rocks. Cabo San Lucas. BCS, Mexico.